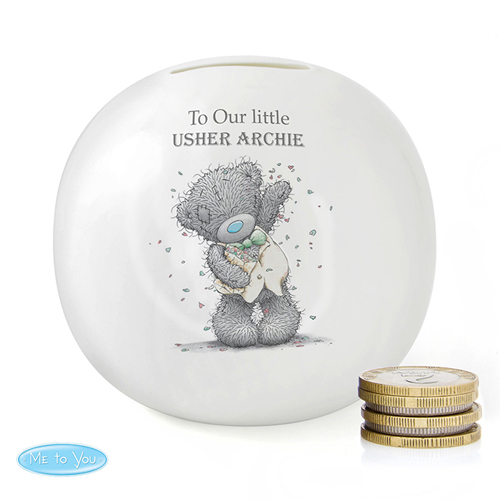 You can personalise this "Me To You" Money Box with a message on the front with two lines of 15 characters per line (the second line on the front will be in uppercase). On the reverse you can personalise with a message of up to 4 lines of 20 characters per line. All personalisation on the reverse will appear as entered and is case sensitive. Personalise with a message on the front of up to two lines of 15 characters per line. On the reverse you can have a message of up to 4 lines of 20 characters per line.